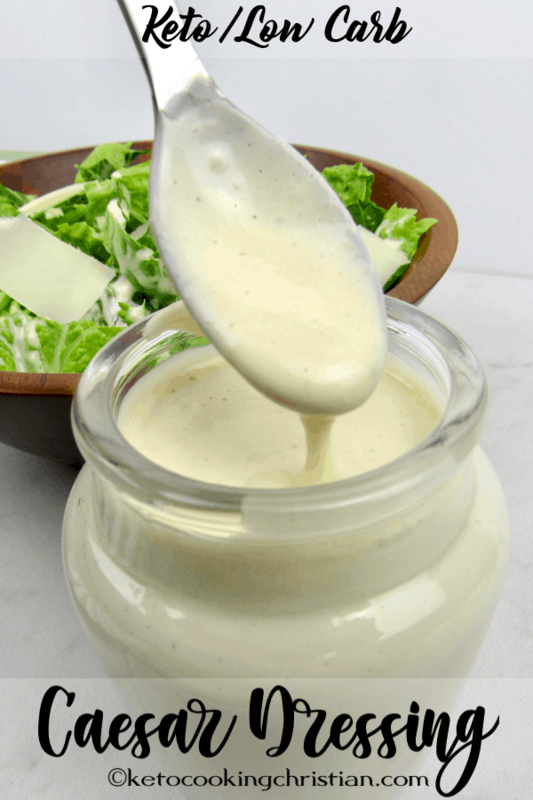 Making your own salad dressing can be so rewarding, especially to those who like to follow a strict Keto diet and avoid added preservatives. 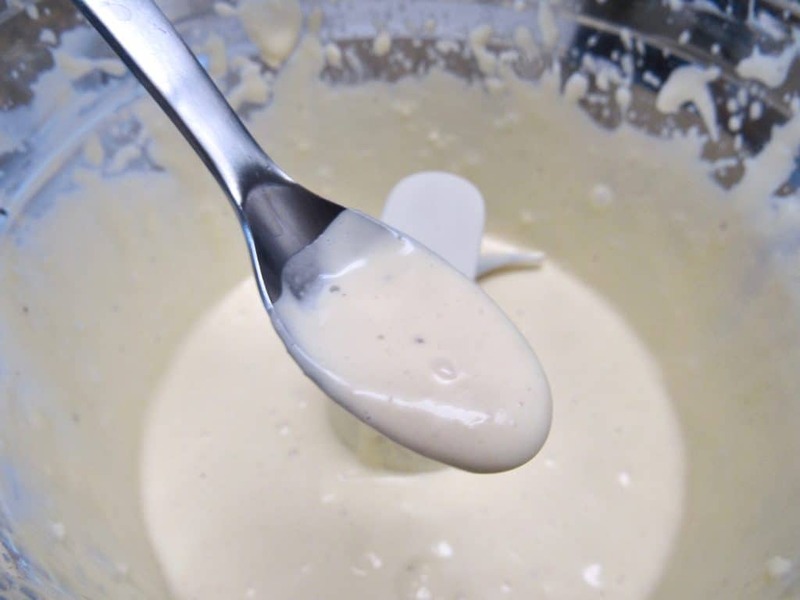 It’s super easy to make and I use my Easy Homemade Mayonnaise as the base. I add fresh lemon juice, grated Parmesan cheese, garlic and a few other goodies, including anchovies, but I prefer using the paste instead. Let me start by saying I realize this is not the “official” way to make Caesar dressing, as they do with using egg yolks and anchovy filets. This is just my version that I happen to love and wanted to share. 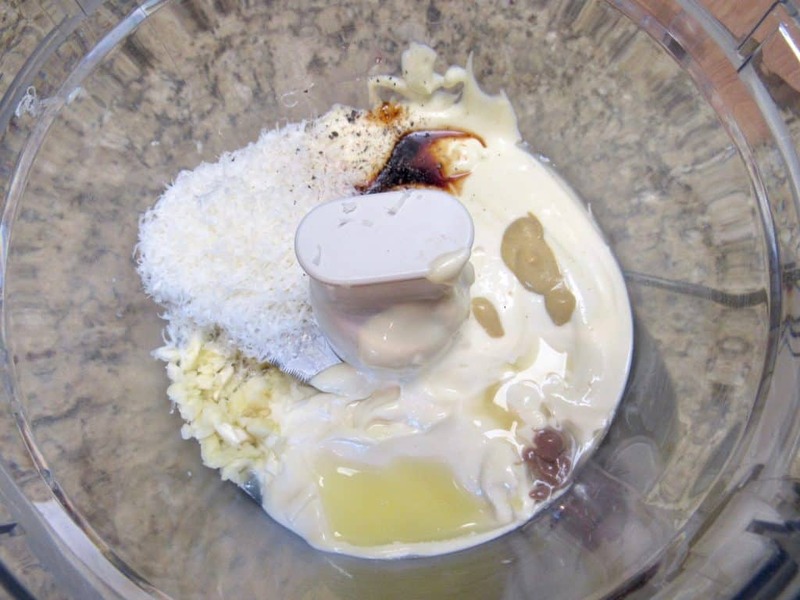 Add all the ingredients to the bowl of a food processor and blend until well combined. That’s it! I told you it was easy!! Serve over romaine lettuce with shavings of parmesan cheese and enjoy! Store leftovers in the fridge for up to a week in an airtight container. That's it! I told you it was easy!! Serve over romaine lettuce with shavings of parmesan cheese and enjoy!